The Google Cultural Institute, an online virtual museum with high-quality digitizations of artifacts from across the globe, recently added more than 1,000 ultra-high-resolution images of classic paintings and other artwork by Monet, Van Gogh and many others. 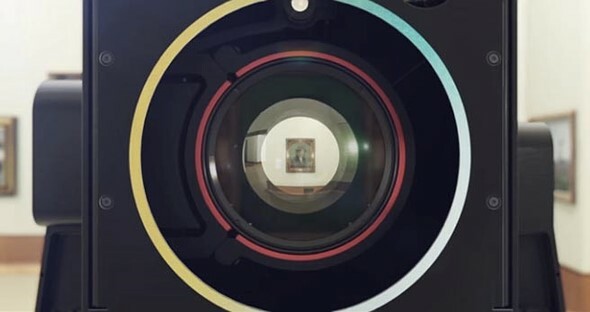 A new robotic camera system Google has developed called ‘Art Camera’ has made it possible for the organization to add digitizations faster than ever before. This is an amazing resource for artists who wish to study the works of many great masters. Google developed and built 20 of these cameras, and then has shipped them around the world to different museums to help them digitize their artwork. The resulting images allow the viewer to see paintings online, Mobdro App and zoom in close enough to see the canvas weave and brush strokes. It also enables artists to study the works of masters closely without the need to travel around the world. We’ll be the first to admit that there’s nothing better than standing in front of a painting to absorb its grandeur, but advantage of viewing online is that you have the ability to examine the painting closely and at your leisure without bothering other viewers. There are also many paintings that may be in storage, or on loan to different museums, but they’re always available online. How is the quality? It’s pretty good. We’ve noticed that at 100% it’s not quite as crisp as the Betterlight 8K digital scanback camera we have, and there is visible spectral highlighting that’s so often associated with scanning oil paintings and other artwork that can produce glare. But while both may show up in reproductions, for the purposes of close study of artwork and scholastic purposes, the results are excellent. What’s more, and perhaps more important, Google, as always, has focused on scalability, which means that in the years to come we’ll see widespread digitizations of many important historical works of art.